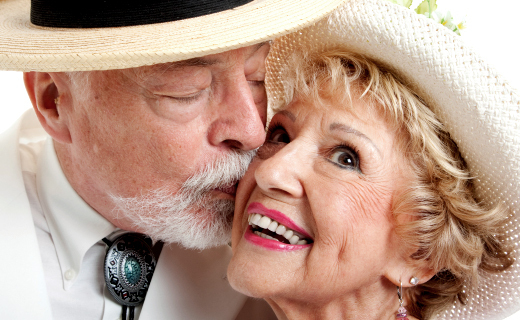 You might think that dentures are for other people, but they’re more prevalent than you realize. If you practice excellent oral hygiene, and see your dentist regularly, you might be able to avoid wearing dentures, but if you have a history of tooth problems, they may be an inevitable part of your future. Fortunately, today’s dentures are far superior to false teeth of the past. Depending on your preferences and dental needs, conventional or implant-supported removable or fixed permanent dentures may be viable options. If you’re not sure whether you need dentures or not, here are seven warning signs you should keep in mind. You’re too embarrassed to smile. Some people get dentures for cosmetic reasons, even if their teeth are technically healthy. You don’t see your dentist twice a year. Semi-annual dental check-ups make it possible for small problems to be discovered and treated before serious damage occurs. If dental disease progresses and requires extractions, dentures may start calling your name. You find it difficult to consume hard or chewy foods. Problems chewing foods with challenging textures can be a sign of tooth fracture, gum disease, decay, and other problems that could eventually result in an extraction and a need for tooth replacement. If you’re ready to regain a gorgeous smile, and say goodbye to chewing problems and tooth pain, affordable quality dentures could be the perfect solution. Make an appointment with your dentist today to discuss your options.